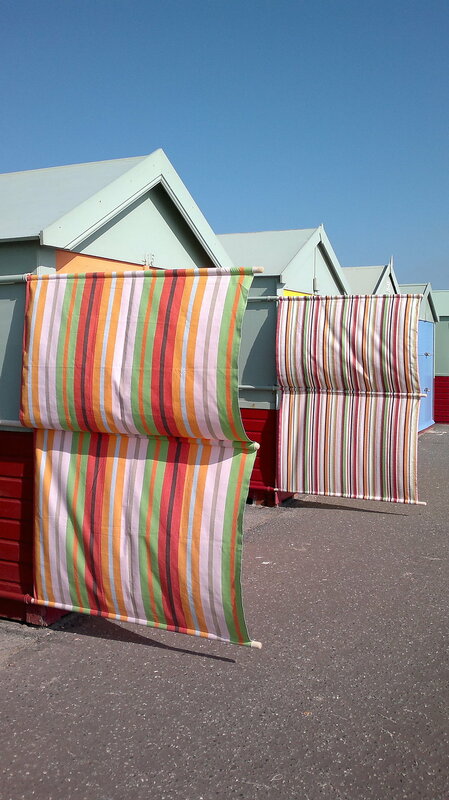 Hazydaze Windbreaks are a Sussex based business, making a range of traditional fabric windbreaks. We both enjoy the beach with our families but know that a blustery wind can ruin your day. 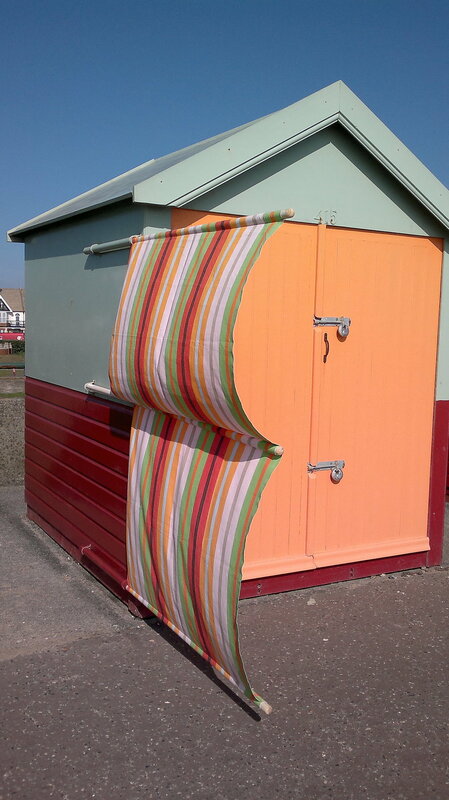 We have now set up Hazydaze on the West Sussex coast to make fabric windbreaks both for the beach and beach huts which look good and provide real protection. After spending another windswept day on the coast we both came to the conclusion that a decent windbreak can make or break your day! We wondered if you could still get traditional canvas breaks and after doing some research, realized there was a gap in the market especially for people with beach huts. We are both creative but practical, so by the end of the afternoon we had come up with a modern twist on a traditional design. And that was the start of Hazydaze! We are now designing and making accessories for the outdoors and home to complement our range of windbreaks.